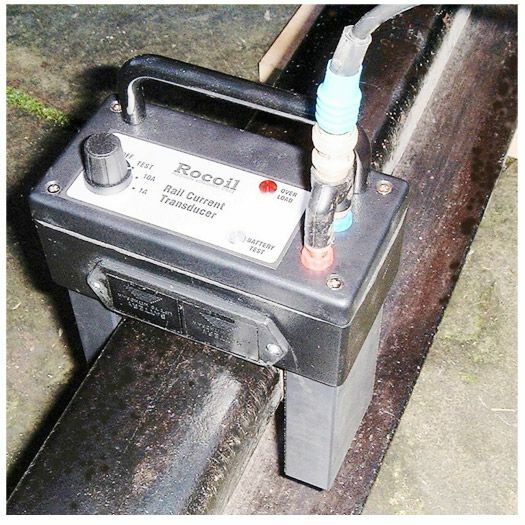 The Rocoil Rail Current Transducer is used to aid non-instructive accurate measurement of the signaling currents in a railway line in a compact and portable measuring system which is simple to use and measures from a few mA up to 65A. When rail track circuits fail, they indicate a section being occupied as part of their fail safe design resulting in rail traffic being delayed. 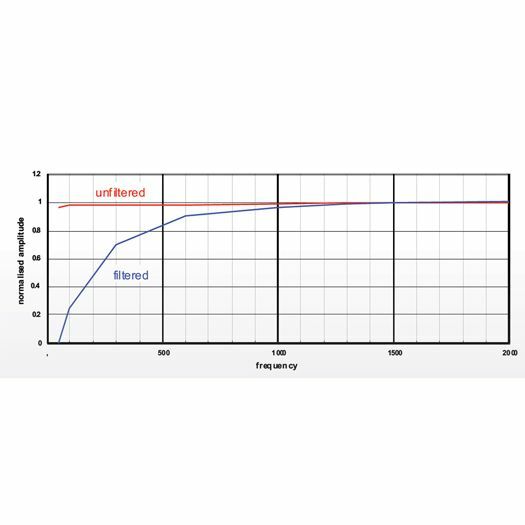 Use of the Rocoil is followed worldwide to aid or diagnose track faults in audio frequency track circuits such as TI21 by detecting where current leakage is occurring. This can assist in reducing such rail traffics or train accidents. 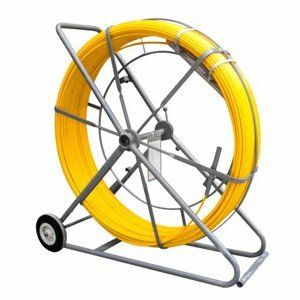 A Rogowski coil, does not saturate and is 'linear' over an enormous range of currents 'from milliamps to millions of amps'. 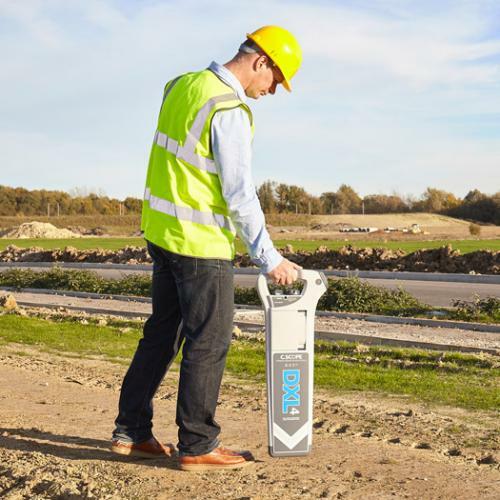 This feature enables the accurate measurement of very low currents at certain selected frequencies in the presence of extremely large currents at other frequencies, typical of Railway installations. 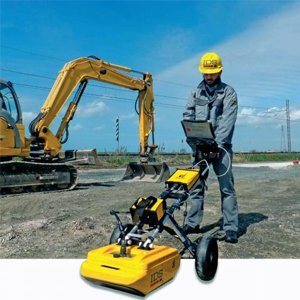 A track circuit is a safety-critical asset. Any failure can cause significant disruption to rail services and be a safety risk. 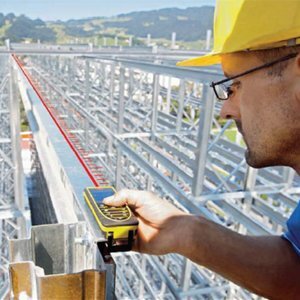 Therefore, the ability to detect and diagnose track circuit failures in order to provide a fast response to failures/incidents has significant safety & economic benefits. 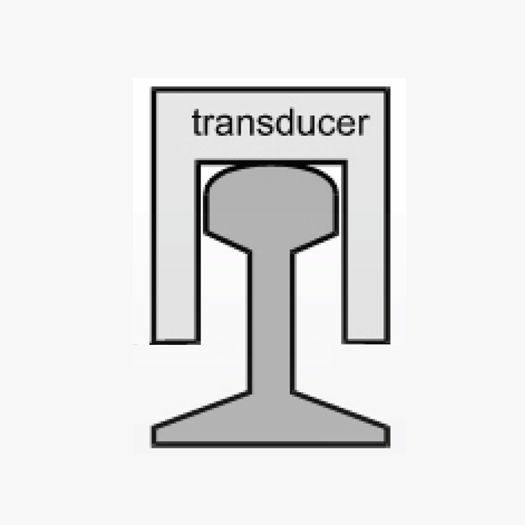 Overloads: A red LED on the top of the transducer indicates when the transducer is near the overload condition. Battery Life: Greater than 45 hours continuous use when alkaline batteries are used. Measures signalling currents in the presence of large 50Hz component. Quick and easy fitting on the track. 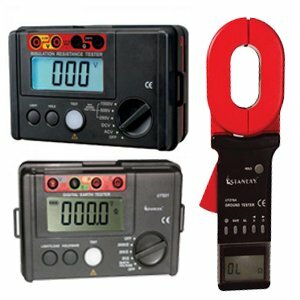 Measures from a few mA upto 65A. Will not be damaged by large overloads. 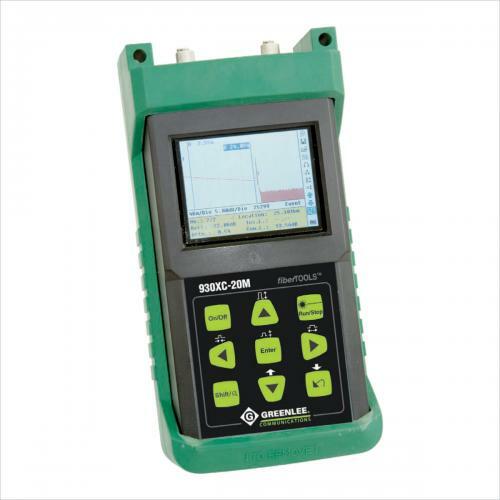 testmeter/voltmeter, oscilloscope spectrum analyzer or multimeter that is suitable for measuring true rms ac voltage at frequencies upto 3kHz [voltmeter/oscilloscope/sp analyzer/multimeter to be purchased separately. Powered by internal batteries (2xPP3).